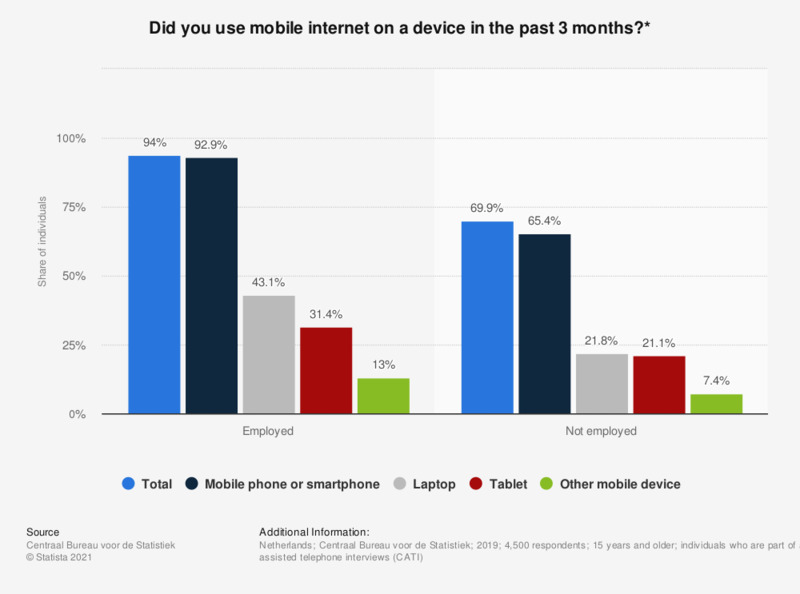 This statistic shows the responses to the survey question: "Did you use mobile internet on a device in the past three months?" This figure illustrates the share of individuals using mobile internet with different devices in 2018, by employment. As of 2018, 91 percent of the individuals with a paid job in the Netherlands said they used mobile internet on a mobile phone or smartphone. Employed: "respondents of 15 years and older with a paid job of at least one hour"
Not employed: "respondents of 15 years and older without a paid job"